Today’s skoolday memory is the nostalgic UFO jigsaw by arrow games. It seems in the absence of video games that jigsaws had a good run in the sixties and seventies as a way of passing the time. For years jigsaws seemed to display a picture of the same chocolate box picturesque street or another harbour side with over one hundred sailing boats moored up with the same white sail against a blue sky. Then if you were really lucky, you might get an old jigsaw of the British isles as a map or even an exciting scene from Butlins. 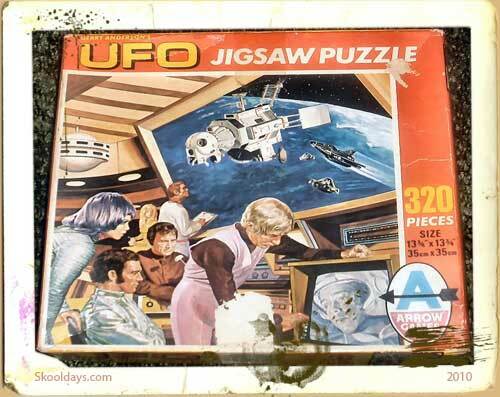 The UFO jigsaw by arrow games stood out for me as a great jigsaw in the 1970’s. It was a 320 piece jigsaw and I had two different types. I’m not sure if there were others in the set but what stood out was instead of the usual blue skies and clouds as the jigsaw challenge, UFO was a science fiction series from USA set in space, thereby the challenge was black skies and stars. I remember the great coloured buttons on the the control panel all so futuristic and yet now so dated. Other memorable parts of Ufo jigsaws were the sliver outfits and purple hair along wit various scenes of thunderbird type vehicles on a planet fit for the clangers. 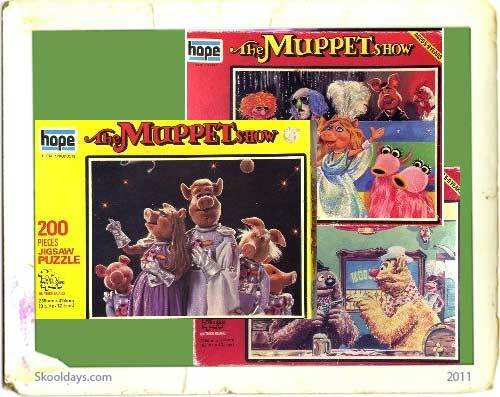 In effect, arrow games made a lot of 320 piece jigsaws when i was a kid, they were a pleasant change to the normal type of boring jigsaw all my relatives produced when i visited their homes. 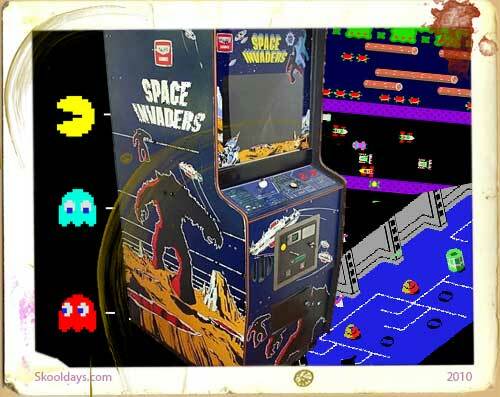 This entry was posted in Movies, Toys and tagged 1970 by Skooldays. Bookmark the permalink.